Microsoft’s Next Console Is Called Infinity? The speculation factory known as the Internet loves to churn out rumors regardless of their plausibility. And with Microsoft planning to unveil its next-generation console in a couple of weeks, gossip is hard to avoid. But the most interesting rumors are the ones that crop up repeatedly. We've heard, for instance, that the Kinect 2.0 will be bundled with every single Xbox, regardless of price, and that its resolution will see a dramatic enhancement. We also know a lot about the console's specs. The next Xbox will reportedly run on AMD's system-on-a-chip, which is, incidentally, the same piece of hardware that the PlayStation 4 is sporting. So, the upcoming console war certainly won't be won on mechanical prowess. The most recent rumor revival, though, has to do with Microsoft's naming scheme. Throughout development, the 360's successor has been referred to by its codename, Durango. But there has been a seemingly endless supply of rumors regarding its actual moniker. The name that most people are already familiar with, Xbox 720, has obviously never been confirmed by Microsoft, but it's so damn convenient that people can't really help themselves. 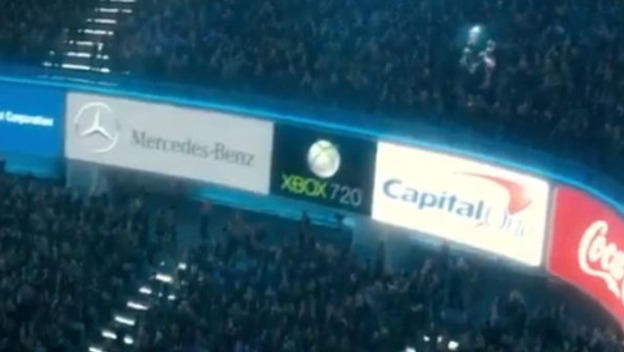 Hugh Jackman's 2011 robot boxing movie, Real Steel, practically canonized the name by including an advertisement for the 720 in one of its stadium scenes. However, a lot of people, including whoever purchased xbox720.com, might be in for a little surprise. 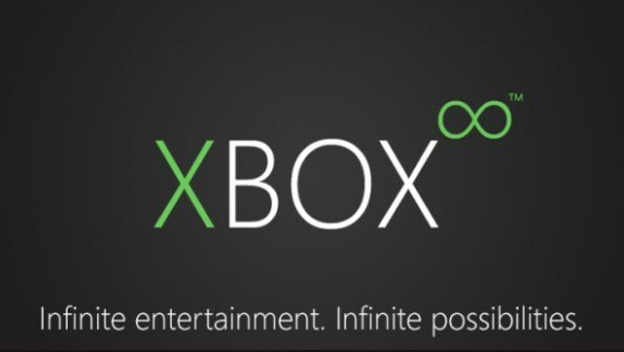 The International Business Times is reporting that Microsoft's next Xbox will be called Infinity. Like I said, the most interesting rumors are the ones that show up repeatedly, and this is a name that we've heard before. This time, however, the rumor is accompanied by an image that looks to be the next Xbox's logo, which adds a bit more clout. However, a user on VG Leaks dissected the image and found that the lettering wasn't aligned appropriately. So, this is either a prototype, or the logo is a fabrication by some talented, but unprofessional, designer. The fact is, we don't know what Microsoft's next system will be called. Several developers have almost confirmed the Infinity moniker, but we won't know for sure until Microsoft's unveiling on May 21st. Plus, this raises an interesting question; can a console called Infinity exist in the same market with Disney's upcoming game of the same name? Naming issues are a very sensitive topic in the videogame industry so I wouldn't be surprised if a few lawyers started getting involved.